Dr. Rochelle Hutchison (formerly Dr. Shin) joined The Orthopaedic and Sports Medicine Center, LLC in October 1997. 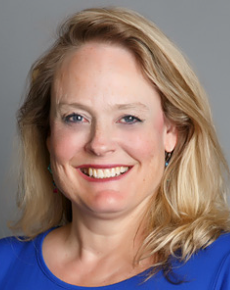 Dr. Hutchison has a keen on-going interest in all aspects of orthopaedic problems, and her practice encompasses general orthopaedic and sports medicine cases. Dr. Hutchison is fully Board Certified by the American Board of Orthopaedic Surgery. She comes to the group with many honors achieved in the course of her professional education. Her research includes "Biomechanical Assessment of the Characteristics of the Patella and Patellar dome in Total Knee Arthroplasty", and she additionally gained a letter of commendation from the Chief of Surgery of her medical school. She completed her pre-med studies at the University of California in San Diego before gaining her medical degree at the University of California, Irvine, in 1991. She completed her general surgery internship, and residency in orthopaedic surgery, at the Johns Hopkins Hospital in Baltimore in 1996.